During this one-day workshop, students will be using the wet felting method to paint with fibers as they create their own landscape picture. 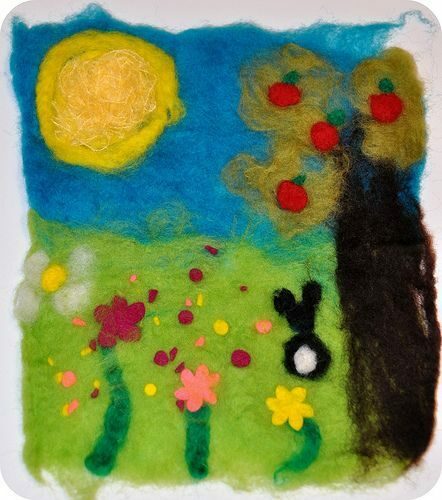 With just soap, water, and wool students will learn wet felting and paint their own masterpiece. This is a fun, creative introduction to wet felting and fiber crafts.